Are you concerned about how your Thanksgiving holiday will unfold if you are to spend it with someone who has dementia? Many families worry how to respond to relatives who confuse them with their parents, or who don’t know where they are. 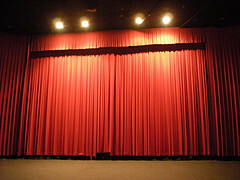 Interestingly, the techniques used by actors working in improvisational theatre may be very helpful to you. Many people perceive improv as theatre with no rules and no boundaries. In fact, there are strict rules that are key to a successful improv production, and those same rules could help you connect with your family members with dementia. The third rule of improv is don’t ask questions. For actors, the rule is intended to prevent one actor from having to do all the creative work. For caregivers, the rule avoids putting stress on the patients, who may think that they are supposed to know the answers to any question. Set up the dialogue so that there is no expected answer. By taking away the stress of finding the “correct” answer, actors have found that both parties are able to allow their imaginations to take off and to engage in fanciful, yet deeply meaningful exchanges. A good improv performance is the result of people who are committed to being totally “in the moment.” They are focused on what the others are saying, actively listening to them and imaging and sharing their vision. People who are suffering from dementia and whose communication skills are weak need people to give them this type of full attention. Improv actors have to accept what the other actors are saying as true. By adopting this mind set, caregivers are able to share the reality as perceived by their loved ones. Whether it is understanding the longing to be in a different place or with people long gone, or agreeing to seeing things that don’t actually exist, caregivers are able to fully join the world inhabited by their loved one and support them. There are no wrong answers in improv. There are no lines to memorize; there is no predetermined plot. When you adopt an improv approach, you can let loose your imagination and sense of whimsy, and find new ways to share and engage with those with dementia. Many who study improv adopt it as a life philosophy for themselves. Those who want to know more about improvisation may enjoy Improv Wisdom by Patricia Ryan Madson, a former theatre professor at Stanford University. Bossy Pants, Tina Fey’s best selling book, contains a concise and humorous description of improv, which is excerpted in this blog piece. This American Life, the PRI radio show, did a segment on improv and dementia care last summer. The piece clearly lays out the wonderfully playful exchanges that can be had using improv. Improv actors have discovered that using improv techniques with their family members with dementia can create unique bonds and unlock loved one’s remaining abilities and emotions that are otherwise hard to access. As you gather for Thanksgiving this year, consider using improv techniques. You may just find that you will have an amazing production, er- holiday.